Dallas Crafters Marathon: Fun at DCM!! We are having fun this weekend! Thank you all for coming and we are looking forward to seeing everyone in February! 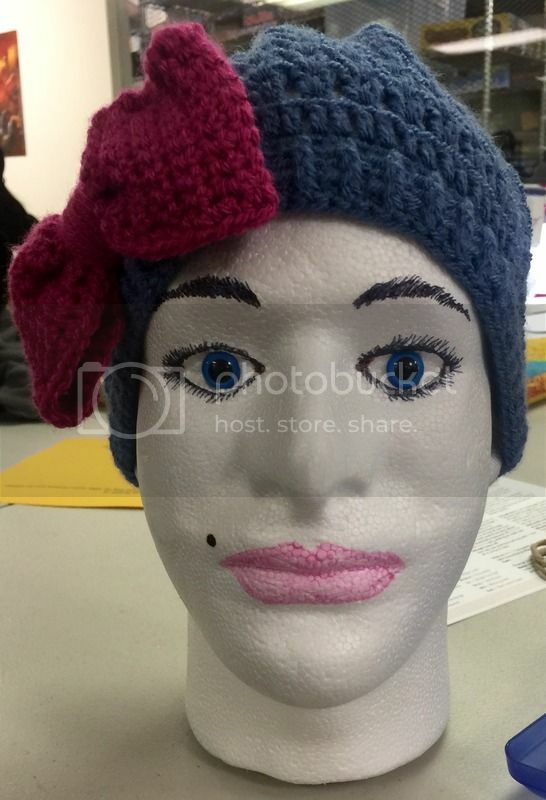 Here is 'The Head' that allows a crafter, Nancy, to see her crocheted hats!